It’s funny how in the space of 60 seconds everything can change. How all it takes is a kind word for a frown to turn upside down. How one split-second decision can change the course of an entire year. One of my grandiose goals for this year was to do an art display in a public space like a coffee house or a small restaurant. We have quite a few establishments in Missoula doing that do that sort of thing and artists rotate through on a monthly or bi-monthly basis. I’m quite aware that it’s a lot to work up to. I have only a few pieces that I would really consider display-worthy right now… but goals are goals, right? The point is to push myself, to give myself something to work for. I’d made initial contact with an eatery that displays art, but I wasn’t sure my art style was a good fit there. And as I’d turned the notion over and over in my head, I’d gotten scared. What business do I have trying to do any kind of show? Right? I talked myself out of it. As part of my “accepting that things will happen on their own time” pact with myself, I thought that perhaps I’d work longer, create more pieces, and think about trying to do a show late next year or the year after. 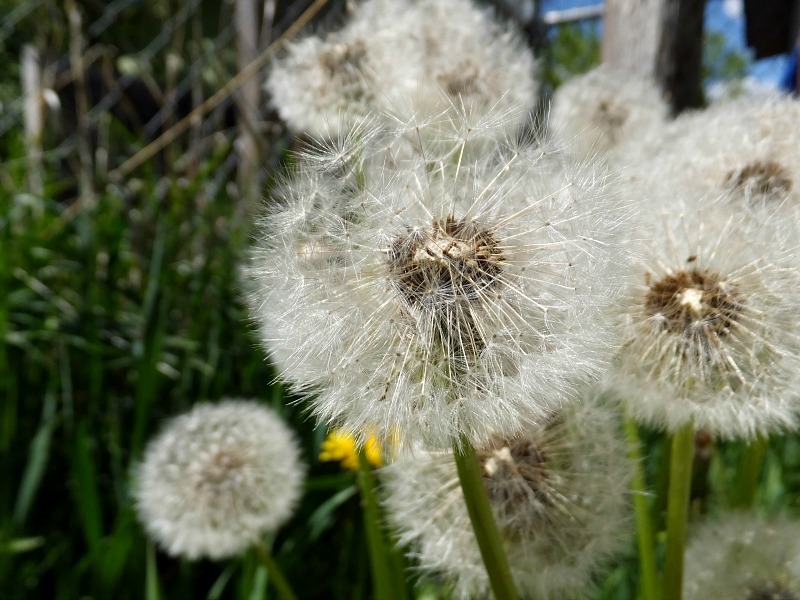 How many wishes can one make on a dandelion puff? Then, yesterday, I stumbled across a quote from Clarissa Pinkola Estes, the author of Women Who Run With The Wolves. I stopped. I read it, and I read it again. I recognized myself in the ego portion… I think one of my greatest failings is always waiting to be prepared. Yesterday also happened to be a terrible horrible no good perfectly awful day. The kind of day where you no longer wonder what else will go wrong, just that when it does you wearily accept it instead of questioning your bad fortune. That kind of day. I badly needed me time and tonight after dinner I left. I wasn’t sure where to go, most coffee houses close by either are busy or have a weird vibe and I couldn’t picture relaxing while contending with that. On a whim, I decided to look for a little coffee house on Reserve that just opened within the last couple months. It took me three drive-bys to find it, and then it looked closed. Figuring I’d at least check on the hours, I stepped out of the car and was assaulted by music. It sounded live – not canned… and I walked in to art-covered walls and an open mic event. I chatted with the barista while she took my order, asking about the art on the walls and the hours of the open mic. She mentioned that they’d just redone their gallery – their artists change out every month – and she offered to grab the Art and Events Director’s business card. Instead of a card, she brought back the Director. There’s a certain perfectness to that timeline – it will be almost exactly a year since I started posting artwork here on the blog. It was an incredibly positive experience… occurring only because of a friendly, smiling barista, a wonderful interaction with the director… and a split-second decision to look for a place I’d never been before. I’ve got a lot of work to do in the next several months, but I am so incredibly excited. Thank you, Universe, for your magic tonight. And your new design rocks, by the way! Thank you *so* much… it is encouragement from people that I’ve met through blogging – like you! – that has started me down this path! It is not a place I expected to go… to be sure. That is awesome! Congrats.What a wonderful thing to look forward to. I love your new look too. All good, keep it up!